You are here: Home / Business Tips / Google My Business Is Crucial To Your Business. Learn Why! Is your business listed on Google My Business and Bing Places for Business? Once you have your website live, the next step is to make sure you can be found in search results. It is essential to get your business listed on Google and Bing. Since approximately 75% of desktop and 90% of mobile searches are performed on Google, it would be prudent to claim your business on Google first. While this article focuses on Google, once your online profile is complete, all you need to do is duplicate efforts on Bing Places for Business. Google My Business is a free platform for managing how your business will look and perform on the search engine. It is an important tool to determine how your business will show up when customers search for your business or businesses like yours on Google Search and Google Maps. The platform also allows you to post updates to your business profile to share what’s new as well as respond to online reviews left by customers. How do I set up a Google My Business Account? 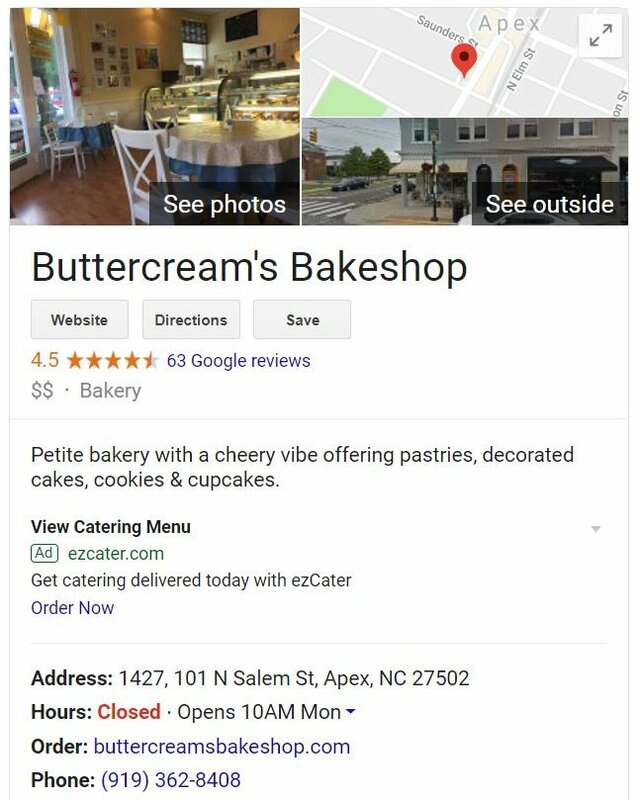 Search and proceed to the Google My Business page, then click on MANAGE. If you don’t already have a Google account, you will need to set one up. We suggest creating an account that uses your business name (ie. mybusinessname@gmail.com) or use a Google account meant for business communications only. You can then search for and claim your business. When completing the details make sure to be consistent with NAP (Name, Address, Phone Number). NAP should match the business details displayed on your website. For example, if your business is listed as My Business Name, LLC on your website, make sure to include the LLC on any online profile. If your address is listed as 123 Oak Drive on your website, do not abbreviate the Drive to Dr on any online listing. Look carefully at your website url – does it use www or not? Your business website address must be consistent – furthermore, you want all links coming into your website to be accurate. This is critical for businesses who want to rank well in local organic search results. NAP consistency is key across all online profiles! Once your online profile is complete, Google, will need to verify that you are indeed a real business. Google will mail a postcard to the address you provided as your business address. It cannot be a PO Box – your business address must be an actual physical location. If you work from home, use your home address. You will have the option to Not Display Address in Google search results. The postcard will include a verification number you must enter on your Google My Business Account page. Important to know: If you want your business to show up as a featured listing, you MUST include a legitimate address and phone number. The phone number can not be the same as another business that is already listed. Once verified, you can add additional details about your business including photos, specials and promotions. You want to add as much information about your business as you can. Go through and complete each section such as areas served, business attributes, hours of operation, website address and a well-written business description. Adding photos will increase interest and engagement with your listing. The first photo you upload will become your profile photo. Be sure to include photos of the exterior of the building, the interior of the building, products and employees. Uploaded photos should be at least 720px x 720px. Visit Google My Business Help, for more details. Your Google My Business cover photo is the most important photo. Consider using Canva or PicMonkey so you can create a professional looking cover photo that is exactly the correct size. Make sure to keep your listing updated and accurate. If your business hours change, be certain to also change the hours on your Google My Business listing. Monitoring email notifications from Google is a good way to make sure your are keeping your listing up to date. Encourage customer reviews on Google. When someone does leave a review, positive or negative, be certain to reply – always in a positive manner! Every business owner with a website is looking for ways to improve their Internet search rankings. Publishing a website is not enough, your website needs to be listed! The best way to get listed is to create a Google My Business profile. It is extremely important to make sure your Google My Business profile is accurate and kept up-to-date. Data aggregators generally collect data from public records, including Google – This data is used to create multiple other Internet-based directory listings. So, if you want to be found, go claim your Google My Business listing today. When you are done, get started on your Bing listing too! 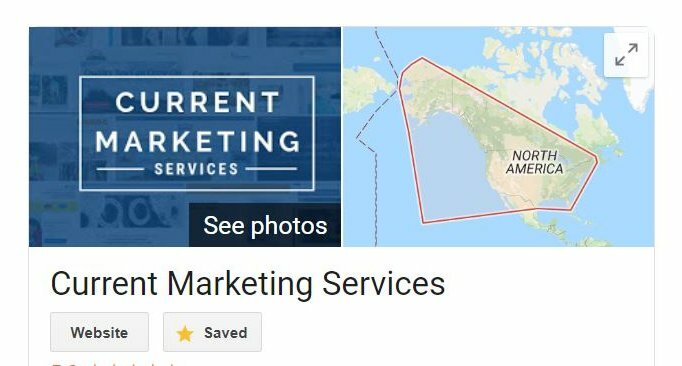 If you need help, Current Marketing Services can help you create or optimize your Google My Business Listing as well as other Internet Based Listings.